A well known and respected national LTL freight carrier was chosen to make a delivery. Just before Thanksgiving a young company made its first large shipment to a new customer. The anticipation of a new and large customer is very exciting in any business. The LTL freight shipment was made through the online freight quotes system. It was assumed that it was a total loss. When the product arrived at its destination something was leaking. This company sells a tropical beverage that will reduce stress, boost the immune system and increase focus. The vast majority of the goods were fine but somewhere in transit one of the cans started leaking. The vendor had no idea how much or what was damaged. The relationship of the vendor and the shipper could also be damaged. This is an unfortunate experience for any company. The little damage to the can may seem minor but the concern of the relationship with the customer who is paying for the product could be in jeopardy. The best case scenario is that none of your LTL freight shipments are ever damaged. After a product is refused or partially refused begins the process of filing the claim. Every single carrier has a different claims process. Each can have its own advantages and disadvantages. 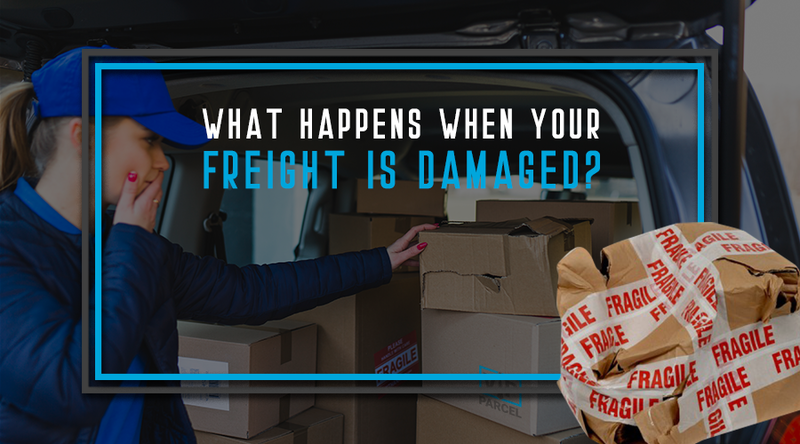 Realistically though, every LTL freight carrier, even the best ones, has damaged freight from time to time. That is why you can find forms for claim on every carrier's web site. It is just like the famous philosopher Forrest Gump said "It happens". As a 3PL the loyalty lays with the customer not the carrier. When this occurs you will sleep better at night knowing that there is someone on your side representing you to the carrier. How motivated is an employee of the carrier to take money from the company that employs her or him? How motivated is that company to assist you with the claims process? The loss ended up only being around $20. When the freight was damaged the carrier contacted our corporate headquarters. After that the account representative was notified. He contacted the customer to find out what to do with the remaining goods. He also directly contacted the receiving warehouse and the carrier to find out what exactly was damaged and what was not. After those phone calls it was discovered that only one case out of 160 was leaking. The reality is not if but when you will have a shipment damaged. When you use a 3PL and when you use the online freight quotes system you will have access to this level of service. The amount of time savings you get by trusting a professional trained shipping expert can be incalculable. The ideal situation is that you never have to make a claim during the entire lifespan of your business.